Transcript for Will President Donald Trump sign a bipartisan deal to avoid another shutdown? Ought to get we do we do they about a watching them we’ve been reporting on all morning. About that breaking news that overnight at tentative deal toward another government shut down. Democrats Republicans coming together apparently they reached an agreement on border security which is. Good because only a couple more days to that deadline of course we saw the longest government shut down. And US history come to an end just a couple weeks ago so so many. You know hundreds of thousands federal workers. Possibly a remote not going to see this happen again ABC’s Mota costar Abbie. Has the. Yet in any keyword here is candidate right now. Congressional negotiators have their staff hashing out the minor deet tails but this still has to be agreed upon by the president was long said. No wall no deal and guess what. There is no while money not one dollar going toward the president’s wall there’s one point. For nearly one point four million going toward border the carrier enhancements that the Democrats have agreed to but this deals essentially the same one. That put this in the shutdown earlier like you sad. This is something that people do not want to repeat we don’t want another partial government shutdown. But three days Al and it doesn’t look like the president’s gonna agreed to this deal. And you know Mona really we can turn around the I’ve really is the critical person a crucial person in all of this are we getting any inkling at all from the White House if how the president is gonna lean on this. While and the pass he sad that. No while no deal I mentioned that cell he’s not budging there he contemplated declaring a national emergency. Diverting funds from elsewhere to build his wall. And at. 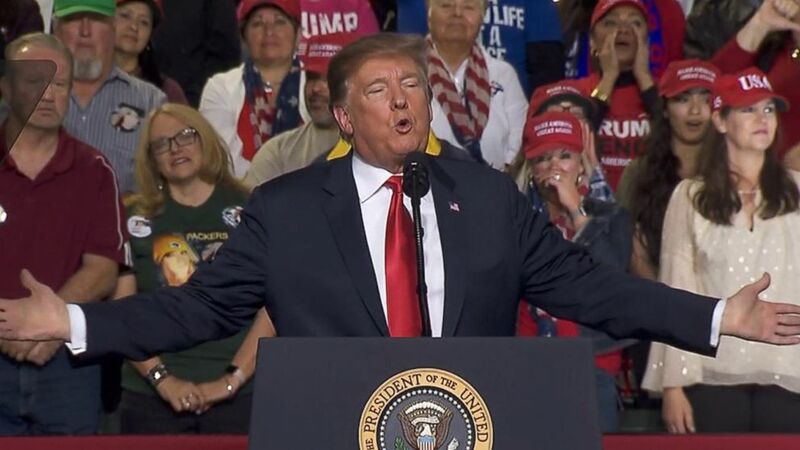 Recently he’s been saying and even set it last night in their rally in El Paso that there already building the while the while gonna get built regardless cell. Eight it seems maybe he might greeted his deal if he feels that he can find another way or again that Ahmard declaring a national emergency is not off the table so. That’s still the possibility to hill Republicans and Democrats alike have expressed that that is not something and that they want even his key supporters. Who have try to get in funding for the border on said that and declaring a national emergency may not be the right path but. Heat the deadline is Friday at midnight and if he doesn’t sign on it this deal that they’ve come up with then again there’s no border while money there. Then he’s lust with very few options annual probably the over the president today nosy and meeting with his cabinet later this morning that’s if we don’t. Read tweaked before then go to thank you so much this morning.